Any chance somebody convert the Baku Street Circuit to GT Legends, please? i have just got it running in GTL, early days but finished my 1st race and it looks and runs well.I have some tidying up and material renaming to do. Also new loading screens to make. Great news, Phil! Keept it up! Thanks. Good stuuf Phil m8, we await your genius and generosity. still working at this, having some crashing problems at the moment.I have made many changes to files to try and improve FPS and its still too low. Sorry to hijack this thread a bit with a request of my own, but I'm having a loss of memory and can't remember what these rims are called nor in what mod I've seen them before. I know they were used on a huge variety of cars and they've been included in many mods already, but I can't remember any of them. This rim style is a 1964 Ford Mustang rim, used afterwards on many other american cars. This rim style was branded Magnum 500. Thank you very much. I've had to scavenge through 5 or 6 different Mustang mods to find them, but they fit like a glove. Just had to change the nut texture from Shelby to AMC. Hi mate... Boy, those rims look so fab and I spent quite a bit of time looking thru all of my mods (including 15 Mustang mods) and alas, I came up empty-handed. Now that I see how nice they can look on other cars, I'm very excited to try them on for size. Would you be so kind as to put your wheel set up for download here? Baku is still a WIP so if there is any interest i will post it as it is.I would like to know if anybody else has crashing problems, i think i have fixed it, but i cant be sure. I have changed a lot of things in this track, its all in the readme. All in due time Glen. 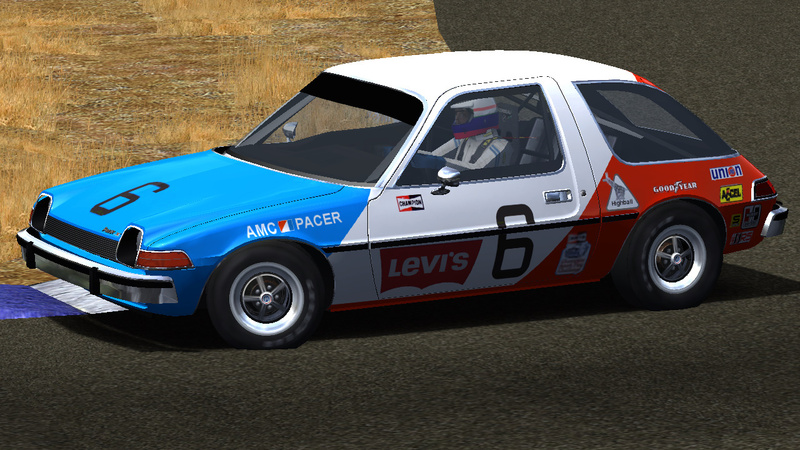 I have a few different projects going on at the same time and I wanted to lay down the groundwork for the Pacer before doing the same to other cars in the IMSA RS class (care to guess which ones?) and after scouting my archives for photos and videos, all Pacers had these rims, either being "factory" cars (those with Levin's sponsorship) or privateers. I wouldn't have showed this because it wasn't supposed to be revealed yet, but just like you I was at a dead end and couldn't source the rims. 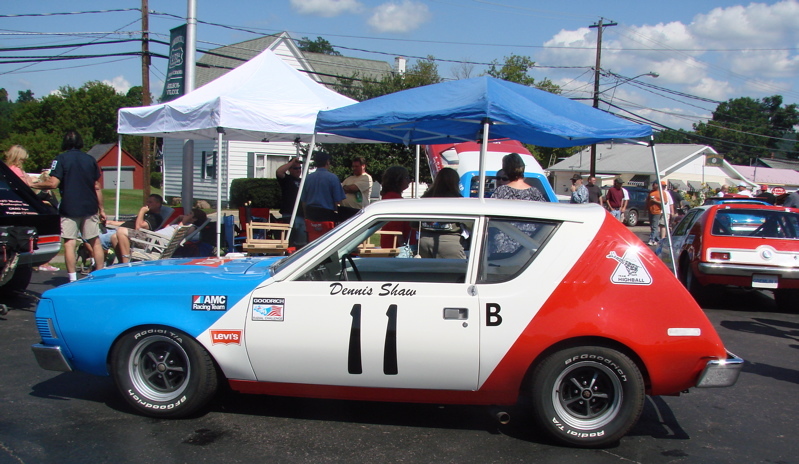 Another thing I've done was to eradicate the street cockpit and put a stockcar one borrowed from the AMC Javelin/AMC AMX. It's not 100% correct, but close enough and it will be shared by other cars. Finding an interior photo of an IMSA/SCCA Pacer was impossible, so I settled for the next best thing, two photos from a Gremlin and a Spirit. 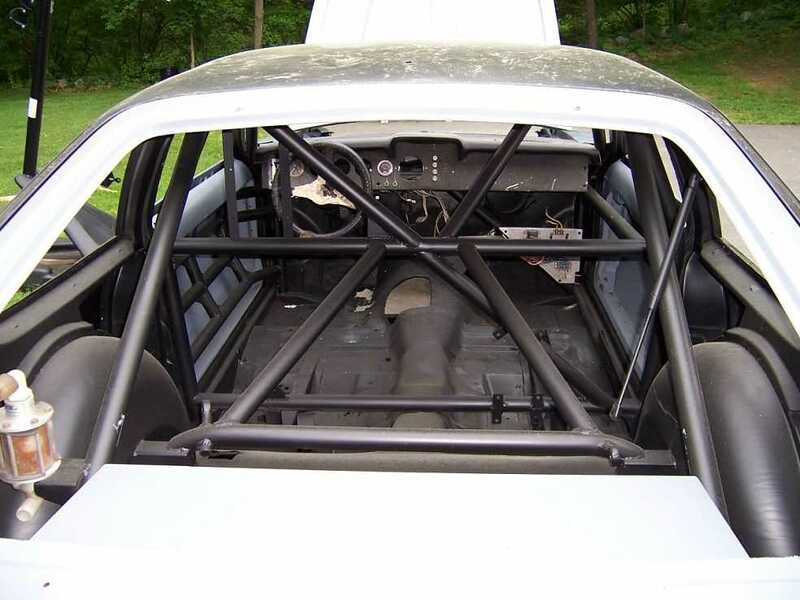 Just to show that they effectively had stockcar-styled interiors like the cars in the GTO/GTU/GTX classes. Consider this a proof of concept. It will be available in the future. Hi Phil, I believe there is a lot of interest for this track especially on F1Classic. Got 'em. Thanks man. I already had Nacks' Shelby GT500 on my HDD. Missed it after checking all the Mustang files. And I might also add that your project looks very interesting.